India is a big country, and it is essential to know about the transport in India, the best way to travel around the country using transports like the train, bus, rickshaw, to obtain the best experience, in safety, and to take better advantage of your time there. The main transports in India is the train. 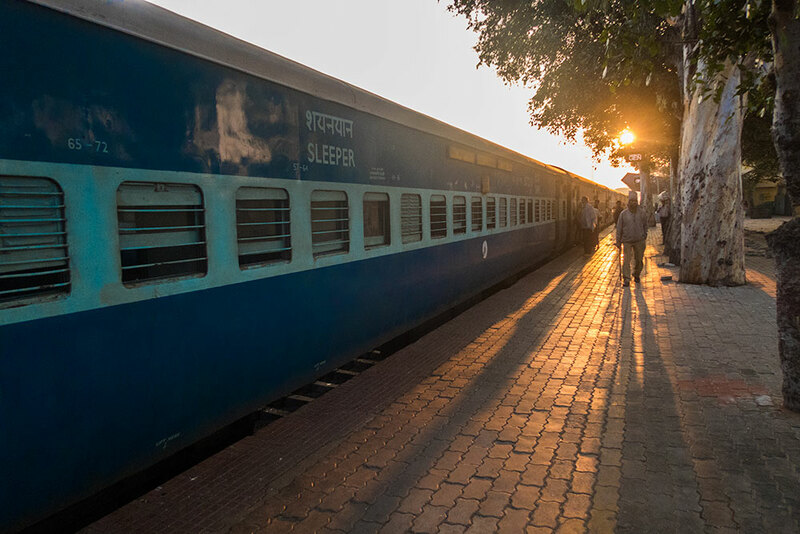 With one of the biggest railway network in the world, connecting all parts of the country, traveling by train in India is more than an experience. It’s the best way to move around in India. While planning your trip to India, check if you are going during the high season and if you are passing by some big festivities. If so, make sure you book train tickets in advance. You can do it online in 12Go Website. If you are going on a regular season, you can buy tickets on the train stations, at the guesthouse you are staying, but never do it on travel agencies. There are many fake agencies all across India, so it’s better to do it online. The best thing about trains in India is if you are traveling long distances, catching a night train can save you time and money. But if the journey takes more than one night, perhaps is better to try another way of transportation: By air. You can find cheap tickets, of course, nothing compared to train tickets, but it will take you from one place to another in a couple of hours. It’s the best way to travel if you have an unusual route, jumping from south to north or the other way around. In some other locations, like train stations, the best way is by bus. India has many bus companies, with good connections. For long journeys during hot weather, make sure you buy a ticket for a bus with Air Con. Regularly they play some Bollywood movie, before turning off the lights so that people can sleep. You won’t be able to lie down, but it will be more comfortable than other buses. In the middle of the journey, usually the bus stop in some street restaurant, so people can use the bathroom and eat. For short journeys, travel with other Indian people, on cheap buses. 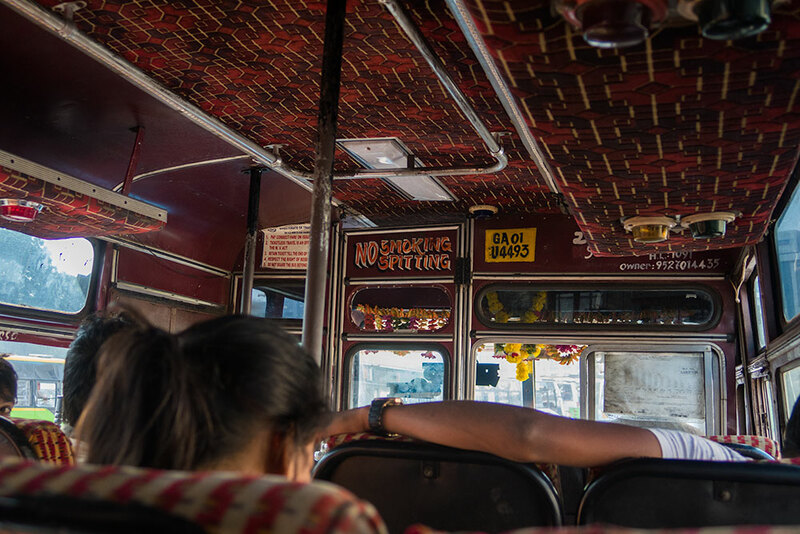 Most of the time, on those buses, you will have the chance of earing some Indian folk music in those colorful Indian buses. Driving motorbikes or scooters in India is also a choice, to move around in some city. Driving in some cities are easier than others, like Goa, Hampi or even Rishikesh. But facing the traffic in Mumbai or Delhi can be like driving in hell, also if you are an experienced driver. But always be careful and follow the basic driving rules, like wearing a helmet. There are police everywhere, and if they catch you, you will pay a fine, perhaps more expensive than usual. And if you are in places like Goa, be extra careful. Don’t drink, do drugs and drive. Just by being caught with that, you will face a hard fine that can even ruin your all vacations. 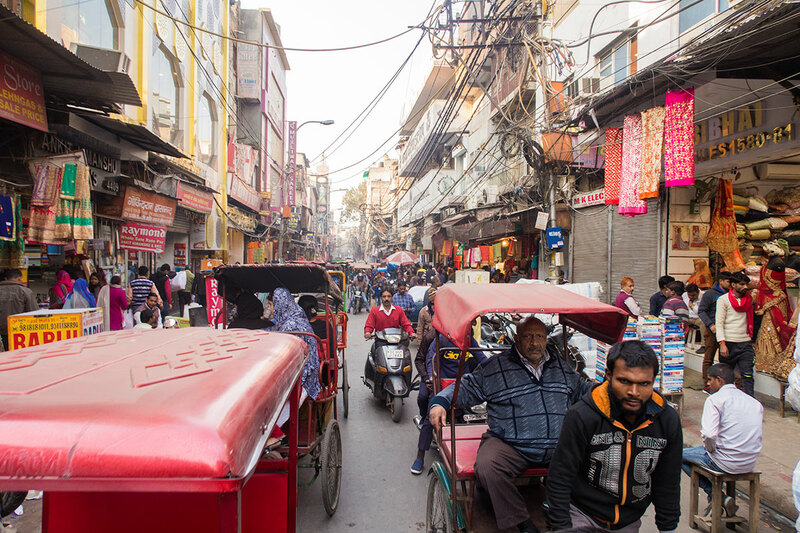 Auto-rickshaws and Cycle-rickshaws are also common transportations inside cities. In places like Mumbai, all rickshaws have their meter working. However, they can fool you by going through longer journeys than needed. So having internet, or downloading a city map on google maps, can help you get to know the distance and the directions. As you will see, the cost for km is Rs 20. It’s an important tip when you are bargaining on other cities, like Delhi, where all meters are usually broken.